It's here, it's here, it's here! I am so nervous and excited and anxious and feeling all the feels as we officially open the doors of Silhouette U! 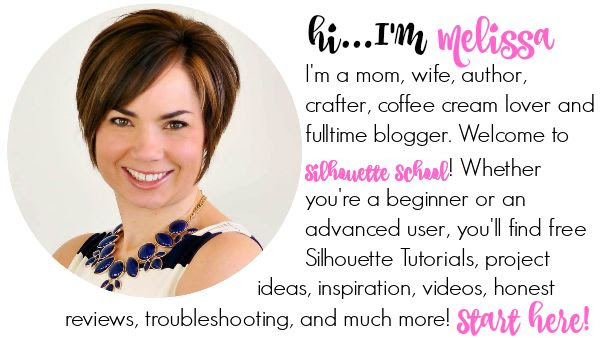 Welcome to Silhouette School's new exclusive membership site - an extension, not a replacement for Silhouette School blog (can't stress that enough)!!! If you're looking for the best online Silhouette CAMEO classes and video tutorials, you found it! The idea for Silhouette U was born out of the needs and requests I hear daily from Silhouette users and Silhouette School readers. 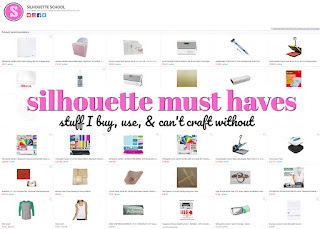 We've compiled them all and created a brand new site -unlike anything else out there - for Silhouette crafters around the world! Let me explain a little more about how Silhouette U works...we kind of think of Silhouette U as a college campus! You'll find the same map over on Silhouette U's Getting Started page..only there it will actually be clickable to easily take you around campus. We have the classrooms where you'll find Silhouette video tutorials broken into three categories based on user skill level and experience: Beginner, Intermediate and Advanced. All Silhouette U members will be able to access all of the videos all of the time by streaming - both on their computers and their mobile devices. Yes, Silhouette U is mobile friendly, people!!! This is HUGE!!! We are launching Silhouette U with 14 video tutorials all between 5 and 9 minutes long and on a wide range of topics. Each month, new videos will be added to each category. The Silhouette U library is where you'll find all of the commercial use design files currently available for download. We've partnered with some amazing designers who have created SVG, DXF and PNG cut files exclusively for Silhouette U! They're available for members to download and use on both personal and commercial items! 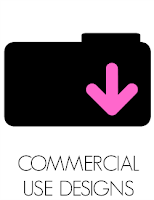 Each month new commercial use designs will be added to the Silhouette U library...but don't wait on joining Silhouette U or you run the risk of missing out. At the end of each quarter the designs from that quarter will be retiring and will no longer be available for download. The Silhouette U Book Store is a busy place! 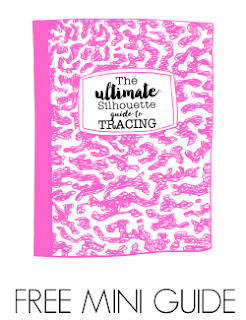 It's where members will go to download their copy of The Ultimate Silhouette Guide to Tracing. This 24 page ebook is available exclusively to current Silhouette U members. It is not available to purchase anywhere else and never will be. Each year the special edition Silhouette U ebook will be retired and a new members-only ebook will be released. The book store is also the place Silhouette U members can shop for other ebooks in the Ultimate Silhouette Guide series. 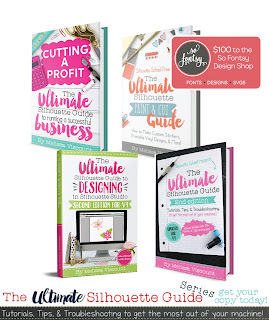 Members enjoy a standing discount on all full length ebooks in The Ultimate Silhouette Guide Series - including already discounted multi-book bundles. And don't miss the Silhouette U Deals area where members can find discount codes to some of your (and our) favorite retailers and suppliers. We're talking standing exclusive discounts on vinyl, blanks, sticker paper, commercial use fonts, graphic bundles, heat presses and Silhouette tools and accessories. Take advantage of the members only deal codes and you could easily pay for your membership with the savings! The Silhouette U Student Hub is a social place...which is why it's based over on Silhouette U's Facebook Group. 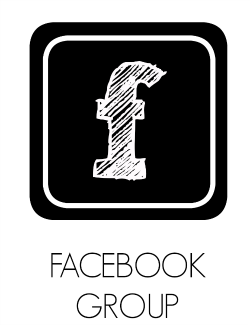 After enrolling, Silhouette U members can request access to the closed Facebook group. The Facebook Group is where I'll be hosting Office Hours which gives Silhouette U members the opportunity to get live help through the chat feature. I will have set office hours during which I'll be standing by to offer live one-on-one virtual Silhouette help to members. Office Hours have been scheduled at various times of the day and evening to accommodate those on various schedules and in different time zones. The Office Hours schedule can be found on the Events calendar on Silhouette U and also on the Events tab on the Facebook group. The Facebook Group is also the place where Silhouette U members can tune in for bi-weekly live Q and A sessions via Facebook Live. You'll also be able to meet and mingle with other Silhouette U members and chat about topics that you are passionate about! This is your community - you take the lead! It's also where you'll find the VIP Silhouette U priority email inbox. Finally the Enrollment Office! That's where you want to stop first! 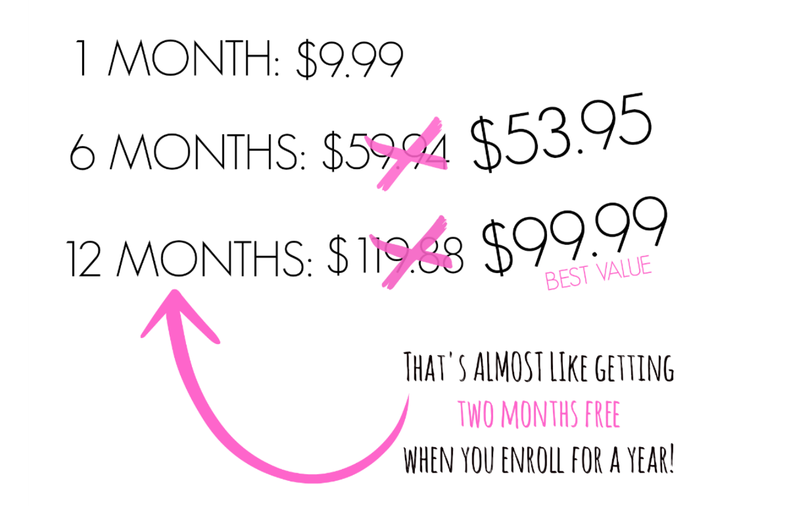 It's where you'll pick out your membership term - we offer 1 month, 6 month and 12 month plans. Great deal. Love having access to someone who really knows the Silhouette score. And once you join up, you get a whole community of people who are there to help you do pretty much anything. Worth every penny! Melissa I so appreciate being able to go to Silhouette U for any sort of question or problem that I'm having and the answer is there! Before I found Silhouette School and U, I would type in key words into FB trying to find a thread so I could figure out whatever my issue was. Now I just go to Silhouette U and search and voila! !, you've provided an answer or even better yet, a tutorial! I learn so much better with videos so thank you for all the hours you put into this!! Melissa, I've learned so much from you! Thank you! Silhouette U is exactly what I've needed to give me motivation and confidence in using my Cameo 3. The software can be overwhelming, but after watching your videos it has become easier to learn. There are so many design possibilities with the software. Thank you! Best investment I've ever made......now just need the time to implement all the GREAT ideas and lessons! Love silhouette school! Whatever I am trying to do, I reach out to the tutorials for help. Melissa gives me the confidence I need. She also keeps me up to date on the new features whenever a new software update becomes available. Just want to let you know how much I love Silhouette U! I have been spending lots of time diving into the helpful videos and homework. It has been worth every penny for this novice! This pack of glitter vinyl would be an awesome win. Thanks Mellissa. I just love Silhouette U - it is the perfect place to find out the answers to all your questions! I love glitter. Everything glitter! This is absolutely the best site to learn anything Silhouette! If you're serious about learning everything there is to know about your silhouette, Silhouette U is a must! Endless support for every step of the way for every type of learner! 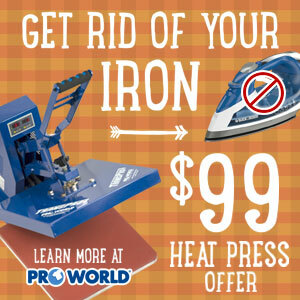 It will pay for itself every month in reduced vinyl waste, and reduced stress! Love Silhouette U! I love Silhouette U! All of the great information, videos, blogs, classes! It is worth way more than they charge. Thank you for all of your hard work and dedication to teaching us. Silhouette U has been a real life saver for me. Love all of the content and video tutorials. I can't say enough! This is only my third day of membership and I have learned so much.I have already started a notebook of tip. Silhouette U is so customer-focused. I finally feel so knowledgeable about the capability of my Silhouette machine. The homework gives me the opportunity to learn new techniques and the features of the machine. The Faceboook page, Office Hours and Live Q&A are resources available to help me when I have an issue, question or problem that needs to be resolved quickly. I love silhouette U!! I Have learned so much from Silhouette U!! It has been a great help! Silhouette University is a life saver for me. So glad for the opportunity to be a part of Silhouette U.
Silhouette U is helpful in so many ways! Find the answer to any question through tutorials or by emailing Melissa and Bob. Membership has its advantage! Yay. Plan to enroll soon, need to learn how to use my machine! I LOVE Silhouette U! I have learned so much! Looking forward to ATS in November. I have a Guest coming all the way from Brazil where she has a group of avid Silhouette users that she teaches regularly. I am so glad I signed up for Silhouette U! 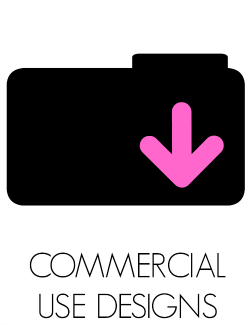 I love the commercial use files and the availability of videos all in one place. I love Silhouette U. The fact that you can talk directly to Melissa during office hours is totally worth the cost of membership. There is so much offered to members, like discounts, homework, commercial files, etc. Just started Silhouette Cameo crafts in the Spring 2017 and have loved Silhouette School videos and posts to learn how to do all things Silhouette. Would love to win this in order to learn even More!! Thanks for the opportunity!!? I would love to win the year to Silhouette U so that I can learn to use my machine to its fullest abilities. I have been waiting until after I retire so I have the time to dedicate to Silhouette U! I lack confidence in my ability and need straight forward instruction, just like you provide. Thanks for this chance to win! I would love to win a year's subscription! I am a caregiver to my elderly Mom, & there never seems to be money left over for extras. Winning wouild be a Godsend! I would love an opportunity to have Silhouette u! I would like to learn how to do many different projects with it and I know this is the best tool to learn it! I've had a silhouette for less than a year and need all the help I can get to figure out how to use it! I’m new to silhouette cameo and would love to win silhouette u to help learn do much more. You are my go-to-girl with all my Silhouette questions! As I use my Silhouette Cameo I know there is so much more that I can do with it. Silhouette U would provide me with advanced ability to improve my product that I am delivering to my customer. I'd love to have a free year membership so I can keep up to date on all the software changes as they happen! I would love to learn more about the Silhouette! You are so great! You make things so easy by telling all the good stuff. I love to learn more things to do than cutting paper. Thank you for the possibility to become a member! Wow! Can't believe it's 1 year already, time flies when you're having fun! Would love to win the subscription as my cameo is very much under used at the moment, still scared to just play with it, so à subscription to silhouette U would give me the support to use it to its full potential ��. I reference Sihouette U more than I refresh my Facebook feed!!! I cannot get enough of the tips, ideas and fun energy! Since getting my Cameo 3 I have found a new stress outlet - and trust me, I need it! Thank you for creating a space for us all to learn without the fear of "asking a dumb" question. Love my silhouette! More classes would help expand my knowledge. I have had my Silhouette for over a year now and I feel like there is so much I am missing with all the features in the software. Would love to use the software to it's fullest. Keeping fingers crossed I win. Would love to win a year membership--I am still learning and need the extra help--have had the membership but also had to take care of my 92 year old mother and missed much of the past 6 months. Happy Birthday Silhouette U, wish I was staying :( I would loooove to win a year! I’ve had my Silhouette machine for 4 years. Took it out of the box twice and actually used it zero times. Watching YouTube videos it looks easy enough but I can never get through a project before I get flustered and put it back in it’s box. Maybe Silhouette U (and quiet time) is what I need. Thanks Melissa for such a great program! You always have the answer and share it in the most wonderful way! I would love to win a year of Silhouette U! Good Luck to Me! Probably the wrong place to comment?! I would love to win the membership because I'm a mom of 2 girls and 2 big pups and a teacher. 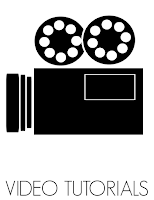 I have a Cameo but don't know how to use it. I work at a private school so my salary is low but I love every day that I am at school! I really need to learn so I can utilize this for the classroom and for gifts for the kiddos! Your blog is amazing! Thank you! I would like it to learn about the new software. I don't have tons of time to tinker with it and would find Silhoutte U very helpful! I love Silhouette U!! When I have any questions, problems or being noisy to see if anyone else is having the same questions or problems I come here. It has made me very comfortable with my machine. I also have saved a lot of MONEY & TIME!! Thank you Melissa and Bob!!! I’ve had the Silhouette for 4 years, took it out the the box twice, and actually used it once. I’ve watched several YouTube videos where it looks easy enough but I always get flustered and put it away. Maybe Silhouette U (and some quiet time) is what I need. I see so many cute project but just put them in the back of my mind as wishful thinking. Would love to win a membership so I could learn more about my machine and grow our new business. I would love to be a member, I so enjoy your blog and FB posts. I have learned so much from you but there is still so much to learn especially with the constant updates from Silhouette. Thank you so much for this chance. 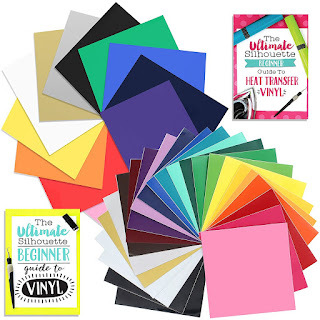 I'd love to win the 1 year anniversary give away because I've had my Silhouette for almost 4 years and I still only know how to cut simple designs and have not even thought about doing vinyl cuts (and I so badly want to learn). Thanks for the opportunity to win!! Love silhouette u! I have learned so much! Would love to learn from the best! I would love to win a free year of silhouette u! The best thing I have ever ran across hands down was your Facebook silhouette school. I have learned so much already and cannot imagine how much more is available through Silhouette U.
I would love to win a membership to Silouette U because I just got my machine and realize I have A LOT to learn! The capabilities of the machine are amazing, but I havent even made my first cut yet. Having access to all your great content would be a complete game changer, as your website came highly recommended by a friend. Thanks for all the help you give! Belonging to Silhouette U has made all the difference in the world on how I am using my silhouette. I have discovered features I didn't even know I could do because of Silhouette U. You are an outstanding teacher and explain things so well! I so appreciate being able to go to Silhouette U for any sort of question or problem that I'm having and the answer is there! Now I just go to Silhouette U and search. Yo provided an answer or even better yet, a tutorial! I learn so much better with videos so thank you for all the hours you put into this!! Thank you for all your excellent help and quick responses. I would love to have a subscription to Silhouette U because all of your tutorials are so great and informative. Would love a year with you!! YOu explain everything in a way that is easy to understand!! I am so excited about the chance of a free year membership. My work at job we sent over seas and my health does not allow me to work outside the home. So this would allow me to learn new exciting things about my machine and open so many options for me to maybe even open a small business of my own. I love Silhouette Cameo and Curio and i want to learn all about it. And I like the way you explain thinks. Your great! I need to take advantage of this win and learn from the best. I'm on a tight budget trying to start a small business to save for college money for my kids. Any little bit helps... and learning from you will push me in the right direction. I am a current member, it is well worth the enrollment fee, I have learned so much from the videos and the homework. I would love to win the membership! I really want to learn more about using my cameo and designing on silhouette studio! Would love to learn more. Everyday, it seems, my daughter comes up with more projects for Grandma to do. 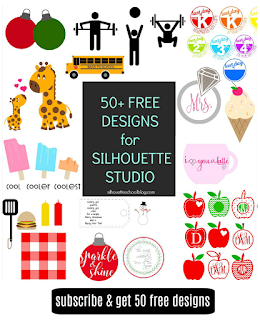 I'd love to win a free year of Silhouette U because I want to master my new craft and this is the place to do it!! Learning new things, speaking with craft minded people, file inspirations... I'm excited about the prospect! Would love to win a year membership to gain more confidence using my silhouette. I would love a membership for Silhouette U to help building my knowledge of the Silhouette Studio program. I am a new mom and love making stuff for my little guy and also use the program for my business. I feel like the more I could learn about the program it will only improve my business! Thanks Melissa! Your FB posts are always so informative! I could learn so much more from your experience. Hope to someday be part of Silhouette U.
I love love love Silhouette U. A Silhouette Cameo is a big investment and without SU mine would still be in the box. It is worth the membership for the 1 on 1 and the video tutorials but there is so much more to it. I would love to be a part of this! I'm a brand new user, and the learning curve is steep! Would love to win a years access to silhouette u recently bought a silhouette but haven't been able to unpack it as yet as we are moving and I don't want to get distracted after seeing all the wonderful things people produce with it. I love the new info I receive every moth with the new videos. Also the weekly and daily information is great. The group is so helpful with problems of any type. The best group to belong to for Silhouette help. Silhouette School & Silhouette U are such great resources! More than likely if it can be done Melissa has tried it. Without introduction to Melissa and her friendship with Terri I wouldn't be a licensed TJC Silhouette instructor today, paying it forward, doing what both of these ladies have done for me. There's always more to learn!!! It would be great to have the U for a year! I just got your new book and going through that. This would be a great adjunct to learn so much more. I Love Silhouette U!! I have learned so much without having to go anywhere else. Melissa keeps us up to date on everything Silhouette related as well as patiently teaching. I do not know how she does it all! I would love to win the 1 yr subscription to Silhouette U! This year has been tough for our family and id really like to jump start next year with doing crafts full time. Crafting is my happy place and Id love to share that with other people. The knowledge I could learn to change my families lives could we so rewarding! To who ever wins, congrats!! I would love to win a year of silhouette U as I've had Silhouette machines for many years and still have not got the hang of it. It is very hit and miss for me even though I've bought the ultimate silhouette guide. I think Im a more visual person and silhouette U could be just what I need to help me from getting so frustrated. Thank you for the opportunity and Happy 1st Birthday. Love your tips and all the wonderful things you teach us. I didn't even know this existed. I want to know everything I can about my Silhouette so my projects will turn out great! Would love to win a year's subscription to Silhouette U!! Winning this would just be helpful in the $ area. Thanks for the opportunity! I love that you share all of your useful knowledge! I would love to branch out and learn other mediums besides htv and vinyl someday. Yes, I would love it. I haven't used my Sil in over a year and want to get back to it. I would love to have a year of Silhouette U so I can learn to use my Cameo and the vinyl and other supplies I have purchased to make gifts for Cancer patients and others who need encouragement. Thanks for this opportunity. It has been such a HUGE blessing having Silhouette U for reference. My first year with my machine and I have learned so much yet I know it's only the tip of the iceberg! I like to try new things but just get scared to. I turn here first to see how you do things and then I feel better. Thanks for being here!! Because of health reasons, my husband wanted to sell our business. I wasn't ready to retire although I'm 72. I feel like I have a lot left to do in this world. I decided to get more interested in the Silhouette crafts so I'm on a new learning journey. I think joining the Silhouette School would be a great way for me to really dive into the learning process. There's so much to do with this little machine and I'm enthusiastic to learn all that it has to offer. Silhouette U is a great place to learn all the things your Silhouette is able to cut and create. Help is so necessary when you first open the box and there really isn’t much given anywhere in depth like Melissa does it here. You’d be so happy you clicked that link to join! I would love to learn more about my silhouette by joining Silhouette U! How awesome to be able to take my business to the next level! Love Love Love Sil U, I can be in the middle of a project and go to the U and run a search and boom! There is the answer! 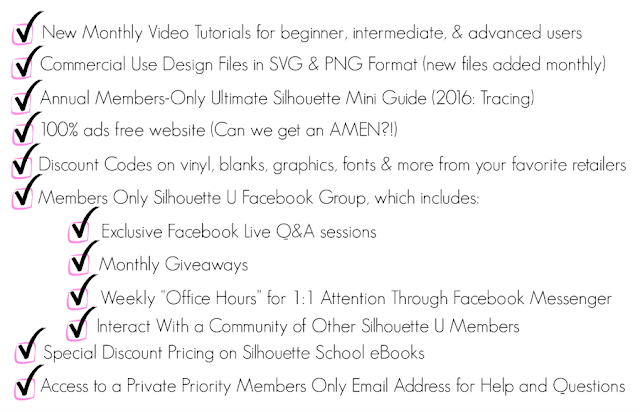 I’d love to win a year of Silhouette U to have access to all the video tutorials, commercial cut files and the private Facebook group! I have had my Silhouette Cameo for a year and am just barely starting to scratch the surface in it's abilities. I would love to do more! Well it's simple. A years subscription means a years worth of learning from one of the best. I have followed Melissa since she started her Silhouette Blog. I purchased the membership last year when it became available. So many valuable lessons. It is so nice to learn something new everyday. I would love to win the yearly membership. Thank you for the opportunity. Love it Love it Love it. I need all the help I can get. When Silhouette U first came out, I was sooo excited for all the information and fun stuff there, but the cost kept me out. I love the Silhouette School blog, but I would really like to learn more about my cameo and projects I can do with her. I would really love to win the first anniversary (congratulations!!) 1 year free subscription-please,please,please :) Thanks for the chance! I am on a fixed income and tight budget right now but would sure live to learn how to get the most from my Cameo 2.would love subscription to Silhoutte U! I love my Cameo and use it a lot. I love following your blog and FB page. I learn so much that way. Would love to attend the U. Thanks for the chance. 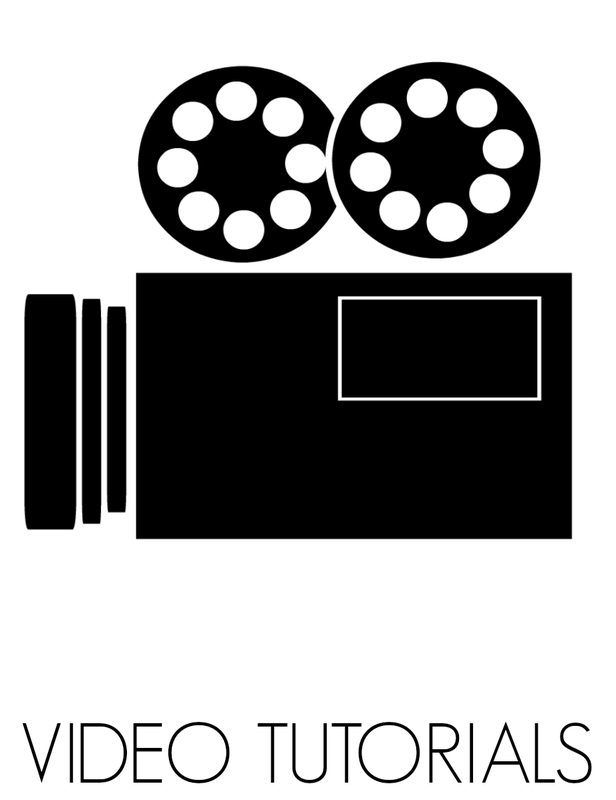 I have a Cameo 3 & I don’t know how to use it. Judging by what I’ve read...I could be doing so much with it. I need somewhat of a 1 on 1 & I feel the school will teach me so much. I would love to win a year in Silhouette U...so much to learn and I could help others around me too. I would like to be really good at something. I was forced into retirement and I need to be busy. I love my Cameo! I am very new to using vinyl so I need all the help I can get! Silhouette U Thank you so much for offering us this amazing oppurtunity that could open up so many more doors for one of us. For me personally I had given up on the one thing I am most passionate about and that is crafting. I had sold my machine, heat press, and most of my vinyl and blanks due to health reasons . Living with multiple invisible autoimmune diagnosis is something that is so life altering and I've now learned it's something YOU can't change YOU have to learn to COPE and ADJUST to the NEW YOU. So here I am I still have my yearly subscription and I'm starting from scratch. After selling just about everything I learned I can't live without my silhouette and it makes me so sick that I gave up on myself and my passion. Had it not been for MELISSA and SILHOUETTE SCHOOL I WOULD'VE NEVER FOUND THE ONE THING IN LIFE THAT I TRULY ENJOY DOING. I don't make money doing it, I enjoy gifting others with sentimental gifts that mean something very special. Without the extensive tutorials I would've never been able to turn the machine on, let alone make my first project. Thank you Silhouette School for the time you've invested your life and your familys lives into helping so many others succed in a passion that we love . You have been hand picked and heaven sent to us all. Silhouette U is my go-to source for answers to any question I may have regarding the use of my Silhouette Cameo. If an answer isn't readily available on the website, an email is quickly answered. Thank you! I would love love love to join SilhouetteU because I have this awesome machine and have just been cutting vinyl decals. I don't know what else to do with it and would so love the help! I would love to win as we just moved and have had to buy so much stuff for our new house and need to build a garage we don’t have any extra money for things that are not a necessity right now. I’d love the chance to win a free year of Silhouette U because there’s still so much to learn! Congratulations on your 1 year anniversary!!! I have learnt so much from Silhouette U and you Melissa. Thank you I don't think I could have done it without this great tool. Thanks so much. Thanks for the chance to win the glitter pack Melissa. I have not tried to use any hgtv yet and this would come in handy to try. The videos are great. Each month a new topic. A welth of information is contained in the entire site. Love this site. My only go to site Silhouette U and second Silhouette School Blog! There is so much information given on a daily basis that it is impossible to keep up with all of it .... yet, if I have a question I only need to search here. I think with Bob on board you have doubled your output of information and output to your loyal subscribers and followers who are never disappointed! Thank you for being such an awesome, knowledgeable resource and sharing your experiences and knowledge with the world. You and the Silhouette U are awesome!!! I would love to win. I would love to start a home business doing something I love. Thanks for the chance!! What a great prize! Would love to peruse all the tutorials and informative ideas offered in Silhouette U. Thanks for the chance to win! The monthly videos are great. Information about the Silhouette can be found on every page. All the information is very helpful. Would love to win a year of Silhouette U! Just getting started! Melissa, you are awesome! Thank you for taking on the task of teaching all of us how to fully utilize our Silhouette. Your wisdom of this machine is beyond wow! You talk very straight forward which I love, and make everything clear to understand. Thank you so much for all of your time and effort. It's been 3 years and i haven't used my silhouette! I hope to put it to use this year with silhouette u. You're the best teacher. Your videos are clear and so helpful. Silhouette U provides everything I need to get me to the next level using my Cameo. I would love to win a year's subscription to Silhouette U. I use my Cameo a lot, Silhouette U could help me learn to use it even more. The Silhouette School blog is fantastic! It would be great to win a year's membership to the premium site to find out what is in store!! My home flooded from a slab leak 14 months ago. My husband I had to move everything out of our home and live in a 30' travel trailer for almost 4 months until repairs were made. While I didn't have a place to play with my Cameo, I followed Melissa's Facebook page closely and made plans for setting up my new craft room/office. Her wonderful tutorials helped me stay sane while living in the chaos. Thank you Melissa and Silhouette U! wanting to try out the silhouette U.......... wondering if I should of TRIAL frist before yearly subscription? I wasn't sure if I should join or not. I already had a membership to another site but I decided to give it a try. I'm so glad I did. I've learned so much. Enough that I renewed for a longer subscription. It's been the best money I've spent in a long time. It would be fun to win but even if I don't, I'll always keep my membership. Thanks, Melissa and Bob, too. I would love to win a year of Silhouette U because I really only do very limited crafting with my Cameo because I'm intimidated by the settings. I've used a Cricut Explore in the past and although it was easy to use, I felt limited with my creativity. I would love to be able to do all of those same projects on my Cameo but I'm going to need some hand holding. I can't wait to learn from silhouette U. I feel like there are so many thing I can learn. Thanks for all you do! Can’t live without Silhouette U! Melissa, her team, her videos, her homework, and the fantastic, helpful group of SIL U members has been invaluable to me! Silhouette U has become an addiction! I bought my first cameo 6 or 7 years ago when they were new, but only pulled it out occasionally. Since I discovered your blog, Facebook page, and now the U, I just can't get enough. ( I have 3 now!) Silhouette U is definitely worth the price, but heck ... who doesn't love FREE??? I'm always hoping to learn more about my silhouette! This seems like a wonderful tool. Would love to win. I have had a silhouette since the original craft Robo days and have used silhouette studio since launch. Although I can find my way around and do quite a lot I am sure this wonderful software can do much much more and I would really like to be able to use it to its full potential. I am about to upgrade to a Cameo 3 so this would be perfect timing for me. Thanks for the opportunity to win a fantastic prize. I would love to win a year subscription to Silhouette U to take my crafting to a new level. Would love to use my machine to its full potential. Love your blog. I would love to be the winner of the free yearly subscription because I am a newbie and need to learn more about everything! I ♥️ your Facebook posts and learn a lot from those! Happy Birthday! I just want to win to really enjoy and learn to use my Silhouette to the 100%! I'm not a newbie, but I still need help! I always reference silhouette school first! I would love to win because I would love to have access to the information that is not available without a membership. Every time I have a question about anything silhouette it is silhouette school that has the best answer. Plus, discount codes are always a good thing. I have learned so much since joining Silhouette U. Every time I run into an issue, I know I have a resource that will walk me through it. Thank you for sharing your knowledge! Happy first birthday! I would love to win! I know there are so many things my silhouette can do that I don’t know how to do. I also would love a reason to craft more. Life has been busy lately! I really am enjoying my cameo the videos are the best if not for them I would have given up. There are just so many things I have learned and love it.!! I have learned so much through Silhouette U! Everytime I get stuck on something, I usually can find the answer there. Thanks for sharing your knowledge! Happy First Birthday! I can stress enough how much you NEED Silhouette U, im usually a person that likes to feel my way around and teach myself but its so many hidden tricks you do need a professional to walk you through the initial first steps. I would love to win a years subscription to Silhouette U, I still have so much to learn & being from South Africa we don't have too many go to places for assistance. Happy 1st birthday! Loving every learningmoment I have from Silhouette U. Thank you for everything. I'd love to learn more and make my belgian creative friends warm for using Silhouette and silhouette U. Go on for the next year(s) to come!!! thank you! I would love to win as I know I would get so much more out of my silhouette as I still have trouble with it. I would love to win a years subscription to Silhouette U, I still have so much to learn & being from South Africa we don't have many places to turn to for assistance. Happy 1st birthday! I learn so much with each blog post, but I know there is so much more I can learn! I would love the opportunity to have a year free! Whenever I'm stuck on something Melissa has the answer! She's amazing and I would love to win and learn even more from her! I learn very must off your school. When i open facebook the first think i see is your school with new thinks. The tutorials are so good for me. I like too see what i have too do. 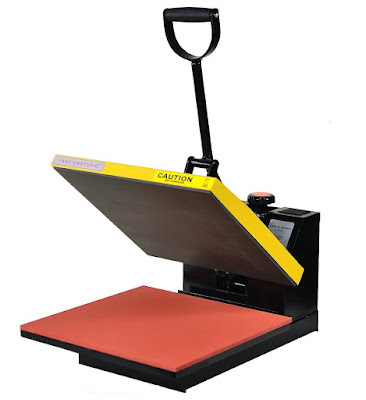 Everyone with a silhouette or other plotter has too see your school. Thanks for your time that you give too us. As much as I know about my Cameo, there's tons more that I don't! I've barely made a dent. All the way from South Africa! Thank you for sharing all your Silhouette knowledge with the world!! Would be fabulous to to be of Silhouette U! Hi Melissa, I’d like to win Silhouette U because you are my one stop shop for all things Silhouette!! SOOOO much to learn! I always adore your tips in my email inbox, a whole school would be fabulous ... just not in my budget as I am moving. I'd love to win a whole year to Silhouette University!! After having my Portrait for years and only using it once in a while for paper crafting, I’m finally branching out and really experimenting with what the machine can do. A free year to Sil U would be so helpful in showing me all of the amazing things I could do with my Silhouette. I would love to win a year at Silhouette U. I have had my Silhouette for a couple of years and am constantly learning new things from Silhouette School and know that I could go even further with Silhouette U. Thank you. Silhouette U is worth every penny. You lean so much and it's tons of fun doing the homework. I have already learned a lot form this website, but I would like to leanr more secrets to use my sillhouette more. This was my first site I found when I started and I love everybpost. I need to be confident with my machine and do the amazing things on your blog. Happy Birthday! I would like to learn more about my Silhouette machine. Silhouette School and Silhouette U have opened a new world of possibilities for me. I have learned so much. A free year would be a huge blessing. I love using my cameo but I know I've only see the tip of the iceberg of its capabilities! I'd love to win a year of Silhouette U so I can really unlock it's potential! I would love to be a part of silhouetteu". I have started inviting women suffering depression over to do craft to help them. This would give me so many more ideas. Happy first birthday. What I've done on my Silhouette has been great but I don't use many of it's features. It would be wonderful to have a year to learn from a pro and I'd love to attend Silhouette U.
I definitely need some guidance and training to help me understand how to use my Cameo. Right now I play around with it but would love to get more proficient. A year of Silhouette U would be magical! I’m definitely not using my machine to it’s potential. This is such a great site for learning how to use your Silhouette. It's been especially helpful to me forlearning how to work with vinyl. Best wishes for many more birthdays!